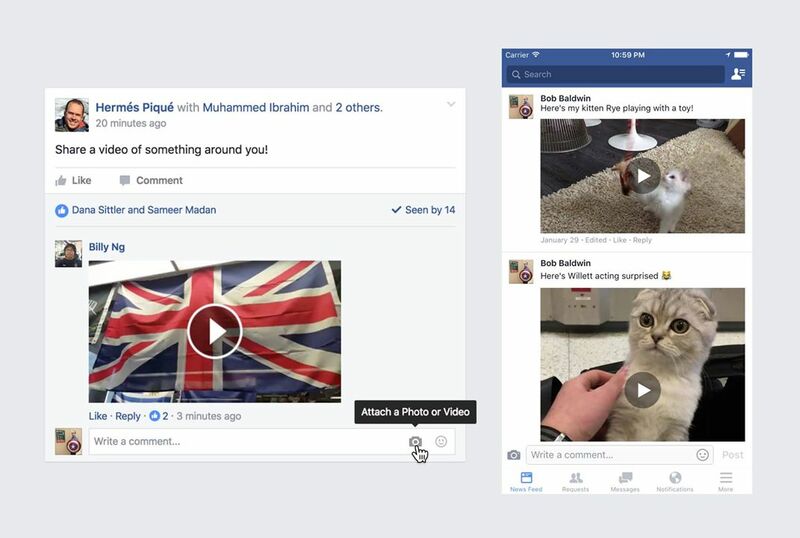 Showcased at Facebook’s Hackathon event earlier this year, a feature that allows users to upload video comments to people’s posts drew quite the attention. Over the past few months, the FB coders behind the feature worked to get it up and running on both desktop and mobile, then tested it among peers at Facebook. The feature is now available for all, accessible via a desktop computer, Android device, and iOS. Once you are running a version of Facebook that allows for video comments, you will see a new camera icon next to the comment field. Once clicked, you can begin to record your video reply, then upload it to the comment section for all to watch. This announcement came shortly after Facebook announced support for uploading and viewing 360-degree photos on News Feed. Download the latest version of Facebook from Google Play, then try the feature out for yourself.